The musical endeavor of Peter Sagar, known as HOMESHAKE, has a dreamy, shoegaze, and chill discography. It’s mellow and slow. Besides a few songs from the project’s discography that amp up the energy a little bit, Sagar, along with his touring band, don’t necessarily tend to make music that would be considered mosh pit material. But despite the fact, his sold-out show at Metro on March 29 was charming and taught me that concerts don’t always have to be upbeat; instead sometimes, they can be blissfully relaxing experiences. The first thing I learned was that HOMESHAKE fans are dedicated; an hour before the doors opened, a steady line of people had accumulated near the front of the venue, shivering in the chilly Chicago air. I soon discovered why: the show was anything but boring. Inside the venue, as a prelude to opener Yves Jarvis, HOMESHAKE welcomed a joint set from DJ Taye and DJ Paypal. Their aggressive, experimental dance beats seemed slightly out of place in contrast to the mellow vibe of a HOMESHAKE show, but nonetheless, people seemed to enjoy their set, and the DJs tried to relate to the audience despite the obvious genre gap, even going as far as sampling Mac Demarco, who Sagar used to tour with before HOMESHAKE was coined. 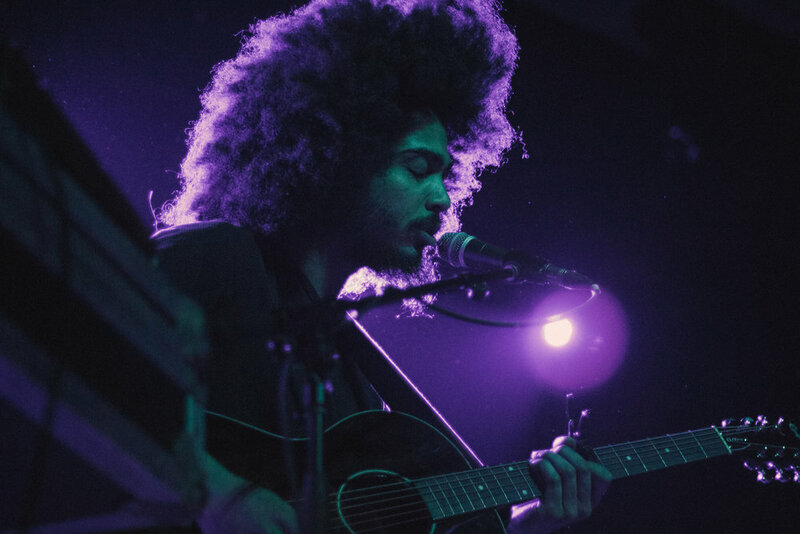 Following the DJ set, opener Yves Jarvis took the stage, performing a gentle variety of tracks with only an acoustic guitar and a keyboard. Jarvis’ easy-going music felt like it was pulled straight from a tiny coffee shop’s playlist, which toned things down from the DJ set and set the mood for HOMESHAKE’s following performance. After a lengthy intermission, which the crowd impatiently waited through, Sagar entered the stage, along with drummer Greg Napier, bassist Brad Loughead, and guitarist and keyboard player Mark Goetz. Their set was introduced by a performance of “Early”, during which I fell in love with the band’s instrumentals. I’ve always loved the inventiveness of their instrumentals on recordings, but live, everything sounded so much cleaner. Having a full band gave every song much more dimension than the electronic sounds often heard on recordings, and it was a welcomed change. Crisp drums interjected warm guitar lines during the next song, “She Can’t Leave Me Here Alone Tonight”, a song from the band’s debut album In The Shower. 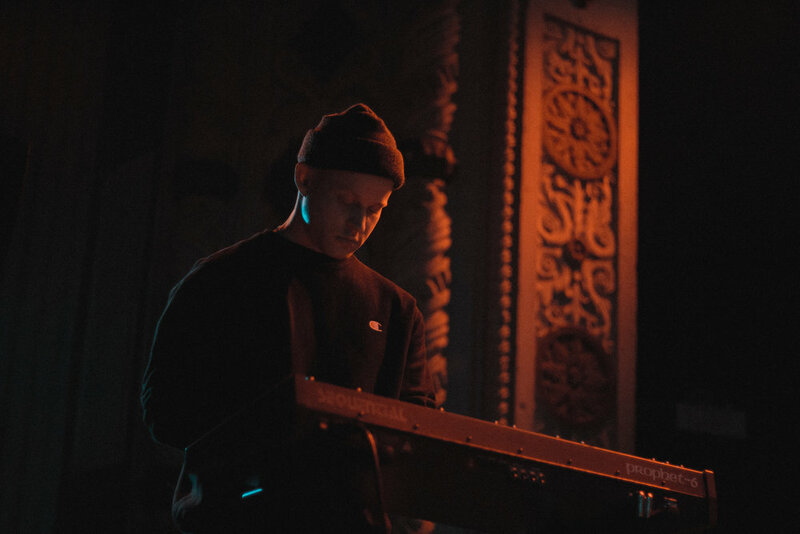 Although this tour was arranged to support HOMESHAKE’s recently released abstract album Helium, they played a variety of tunes from Sagar’s other three albums as well, making sure to incorporate all the fan favorites. Throughout the set, Sagar played with various pitches, occasionally using effects to pitch his voice higher during songs and lower while addressing the crowd, although he didn’t do much of the latter. Normally, a lead singer not talking to the crowd would feel disconnected, but with HOMESHAKE’s almost calming music, it was apparent that Sagar just wanted to get lost in the music instead. Once I got past the talking from the back of the venue, though, the show was excellent. When the band dove into “Khmlwugh”, drummer Napier burst into a set of impressively fast sixteenth notes while Sagar pitched his voice up, turning the usually chill song into a slightly more upbeat one that the crowd cheered for. “Give It to Me” felt like it was playing in slow motion, as if the band wanted to savor every note they played, clinging onto every last beat. HOMESHAKE closed the set with “Every Single Thing”, a playful fan favorite that everybody sang back, colossally louder than Sagar’s whispery voice. After the band walked off the stage, Sagar came back on alone for an encore. Finally smiling, he quietly sang “(Secret Track)”, the closing song from Helium, in his cloudy, quiet voice. People around me mimed out the lyrics while Sagar commanded us to “Breathe in, close your eyes, fall asleep”. Sagar telling the crowd to fall asleep felt like the perfect ending to a dreamy, sleepy show. To me, HOMESHAKE’s show at Metro felt like a well-needed island of relaxation in the middle of a stressful time in my life. As silly as it may seem, it reminded me to take things easy, much like the demeanor of Sagar’s music. The rest of the audience seemed to think so, too, applauding for an endlessly long time once Sagar left the stage. Although it was a lot mellower than I expected it to be, I definitely won’t forget it. View full gallery of HOMESHAKE and Yves Jarvis below!